Convenient solutions for all types of print & digital marketing. Managing business promotions these days requires more than just print media. While print media is still a huge part of business promotions, digital marketing has gained considerable importance as well. Many marketing activities occur using digital platform in current times. 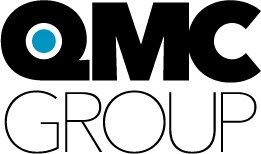 The QMC Group offers convenient solutions for all types of digital and creative marketing needs. We specialize in marketing automation and are a multi-channel marketing solutions provider. Multi-Channel marketing is advertising using print, electronic and/or digital media. Most common sources of Multi-Channel marketing include social media, email marketing, and direct mailing. You can target your niche market and create awareness about your company, products, or campaigns using effective marketing solutions offered by The QMC Group. Distributing print media can be limited to certain vicinities and would be a time consuming task. However, Multi-Channel marketing is as swift as it can get and you can market your business to thousands of people in a matter of minutes e.g. emailing potential prospects about latest offers. The benefit is doubled when you make a promotional content for print media; you can use the same artwork and use it for distributing it to thousands of people.